There are many ways that you can support the Leitner Family Observatory and Planetarium. Attending our public nights on Tuesdays and bringing your K-12 school groups to the planetarium are two of the easiest ways! If you would like to make an even greater impact by supporting our ongoing educational programs and events, we welcome you to make a donation to the Leitner Family Observatory and Planetarium, by visiting the Yale Office of Development Online Giving Page. Under “Selected Designations”, please specify Leitner Family Observatory and Planetarium. You can also mail your donation by completing the Mail-In Gift Form. 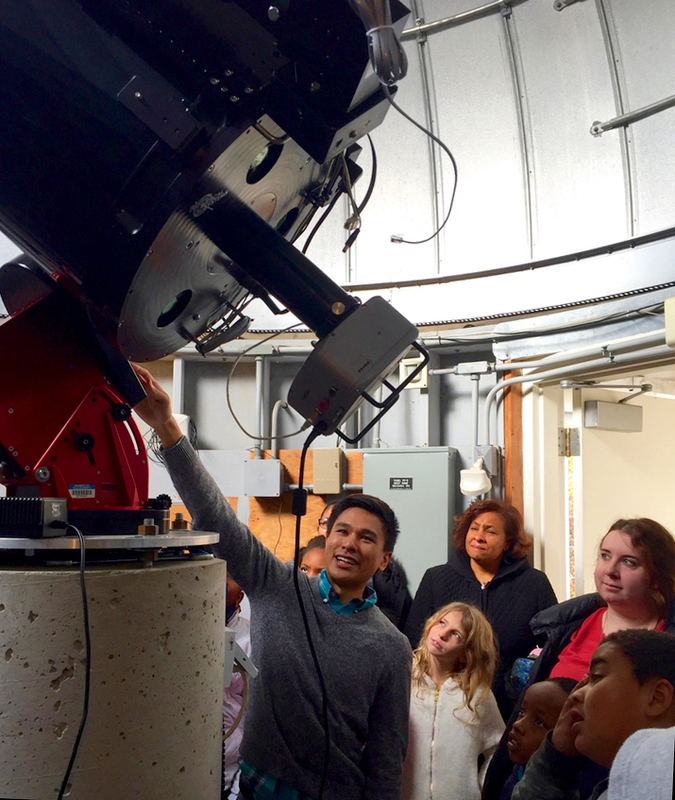 Graduate student Angelo Ricarte teaching young astronomers about telescopes.